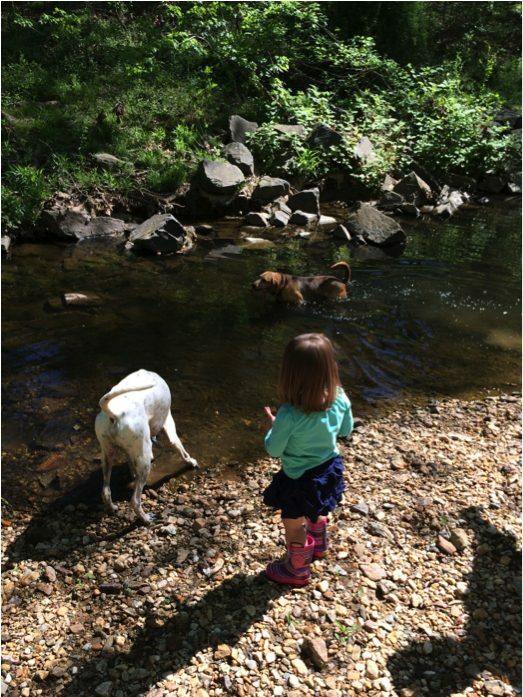 It’s finally summer time, and nothing means summer quite like playing in puddles, creeks and rivers. 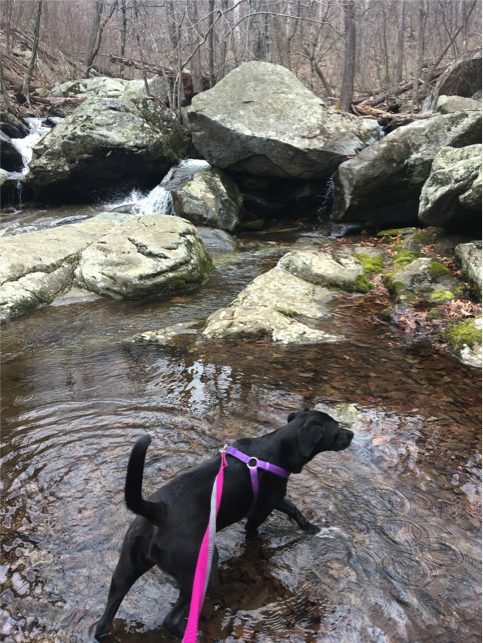 But keep in mind that your pup isn’t the only creature that loves fresh water. Leptospirosis is a bacteria that is on the World Health Organization’s list of Top 10 most important emerging infectious diseases and it thrives in fresh water in warm, humid environments. It is usually thought of as a tropical disease that is found in other countries close to the equator. Unfortunately, however, our weather here in the United States is becoming warmer and wetter, and public health officials are concerned that it will become more of a problem in the US than it is already is. The most common times for leptospirosis to be contracted are in the mid-summer through early fall, and after flooding or heavy rains. Confirmed cases of canine Leptospirosis are not uncommon in the DC area. We have even had some outbreaks of human leptospirosis in this area. It is spread through the urine of infected mammals such as raccoons, deer, rodents (especially city rats and opossums in urban environments), farm animals and dogs. The most common route of exposure is by drinking contaminated fresh water. Leptospirosis can also enter the bloodstream through cuts in the feet or legs, and it can be found in wet, shaded grass as well. In addition to making your pet very sick, Leptospirosis can be spread to you or your family. Typically, lethargy, fever and loss of appetite are the first signs that we see of Leptospirosis, but in serious cases, we can also see vomiting, diarrhea and even liver, kidney or respiratory failure. Death can result in those that are very sick. Treatment means a long course of antibiotics, and in severe cases, hospitalization at a critical care facility may be required. Leptospirosis can be difficult to diagnose in animals and humans. Veterinarians take Leptospirosis very seriously and fortunately there is a good vaccine for it. Leptospirosis has many different serovars, and the vaccine that we carry here protects against the 4 most common disease-causing serovars in the United States. The vaccine requires two boosters that are about 3 weeks apart, and then a yearly booster after that. 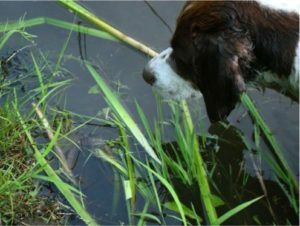 Other forms of prevention involve avoiding fresh water: creeks, puddles, rivers, and lakes, and avoiding wet shady grass next to bodies of water. Leptospirosis can be contracted by eating infected carcasses, which is another great reason to keep your pooch on the leash while on those wonderful long walks in the woods. Historically, dogs that contracted Leptospirosis were field/hunting/working dogs as those were the dogs in the most contact with wildlife. However, across the United States that demographic has changed, and dramatically. Now most cases are seen in dogs that live in urban environments and are under 30 pounds (presumably because they were the least likely, historically, to be vaccinated and increased exposures to small urban rodents). 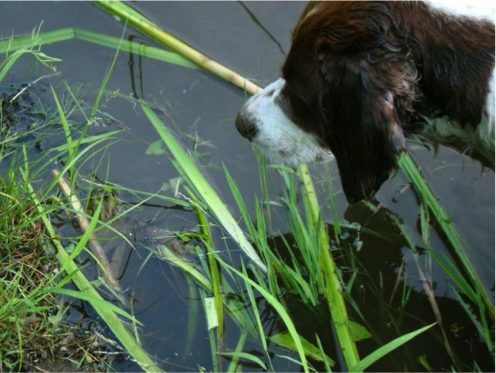 If your own dog has been diagnosed with Leptospirosis, please take precautions at home. Avoid contact with your dog’s urine, and if you have to clean up in the house, wear protective gloves and wash your hands afterwards. Administer the full course of antibiotics as prescribed by your veterinarian. Avoid walking your dog near bodies of water or places that other dogs congregate, to minimize the spread of Leptospirosis to other pets. Listing of the Day: 1405 N. Jefferson St.